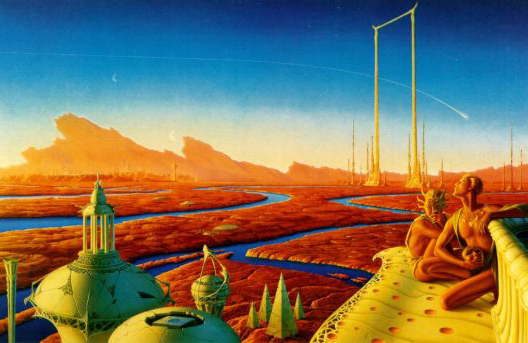 Mars is an old acquaintance of humanity, documented since ancient Egypt more than 3,500 years ago. But it was after the invention of the telescope in the seventeenth century that astronomers began to understand that this planet shared much in common with ours, such as polar ice caps, winters and summers, and a physiognomy that could easily be interpreted as a version of Earth toned red, and thus would have seas and continents. How could one not imagine that on the other side of space someone would also be watching us? That article did not go unnoticed for a young writer, a British biologist named Herbert George Wells (21 September 1866 – 13 August 1946) who was following with interest the developments of his time. As related to OpenMind by Emeritus Professor of International History of the Kingston University of London (UK) Peter Beck, author of the new book The War of the Worlds: From HG Wells to Orson Welles, Jeff Wayne, Steven Spielberg and Beyond (Bloomsbury Publishing, 2016), in October 1888 Wells participated in a student debate in which he defended the idea that we “had every reason to assume that the Martian surface was occupied by living beings”. Add to this the impression that the industrial landscape of Staffordshire foundries had produced in Wells, together with a conversation he had with his brother about a hypothetical alien invasion. The result of this cocktail was The War of the Worlds (1898), in which Wells allowed himself the small evil of killing his neighbours in his town of Woking in “painful and eccentric” ways, as he wrote in a letter. In the novel, the lights described in Nature, actually an optical effect, were the flashes of the huge cannon that fired the Martian ships to Earth. The War of the Worlds has lasted until today as the paradigmatic novel of alien invasion. And the truth is that for the vision of the time, there was a reason for such hostility: envy of our warm and humid world by the inhabitants of a dying planet. Astronomer Percival Lowell postulated the existence of artificial canals on Mars, built to irrigate their vast deserts with their dwindling water reserves. Lowell’s ideas were based on the observations of the Italian Giovanni Schiaparelli, who had described rectilinear formations on Mars. In his novel, Wells mentioned Schiaparelli, but not Lowell; the invasion of The War of the Worlds was not motivated by desertification, but by the gradual cooling of Mars. But had Wells read Lowell? “The jury is still out, I understand,” says Beck. But it is undeniable that the scientific Wells remained keenly interested in the neighbouring planet. In 1896, while writing his novel, he published in the newspaper Saturday Review a brief article entitled “Intelligence on Mars“ in which he summarized his vision of Mars. Inspired by his training in evolutionary biology as a student of Thomas Henry Huxley, known as “Darwin’s Bulldog”, Wells suggested that the Martians would be very different from humans; to assume otherwise would be “naïve”, he wrote. In 1908, a decade after the publication of the book, Wells expanded his theory of Martian life in an article in Cosmopolitan magazine. In “The Things That Live on Mars“, the author speculated about life forms on Mars: taller plants due to reduced gravity, animals with spacious lungs that flew, climbed or waded, and an intelligent species that, backtracking on his previous position, he defined as having a “quasi-human” appearance. And here there is no doubt about the influence of Lowell and his canals: Wells cited the American as his “friend” and his theory as being “very convincing”. Wells did not occupy himself again with Mars and his socialist convictions guided his literary work toward a more political arena. For some scholars, even The War of the Worlds is not so much science fiction as a political allegory of the pre-WWI climate. 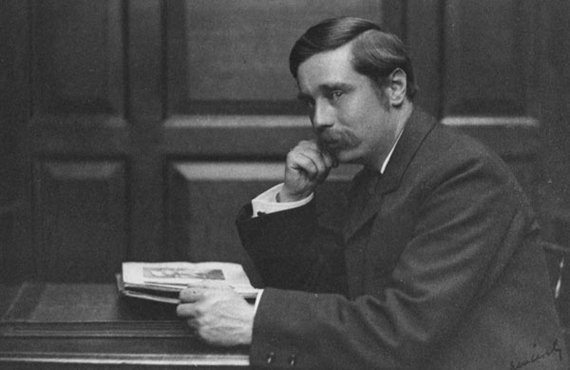 According to the spokesman of the H. G. Wells Society, writer Emelyne Godfrey, “The War of the Worlds is a critique of imperialism and man’s hubris.” The writer explained to OpenMind that Wells was influenced by The Battle of Dorking, a fictional German invasion of Britain published in 1871 by George Tomkyns Chesney. Beck agrees with this analysis. The story of an interplanetary war “allowed Wells to advance serious concerns about the contemporary world; he used the Martians to speculate, predict, warn and exhort society to reappraise existing modes of thought, or else face the consequences.” In fact, the Martian machines anticipated the shifting of warfare from the battlefield to the cities, which in the twentieth century would sadly become reality. Technology was not the main interest of Wells either, writes Simon James, Professor at the University of Durham (UK), in a recent article in Nature. And yet, the author has well earned his reputation as a prophet of technology: the black smoke of the Martians and their heat ray device have been likened to chemical weapons and the laser, respectively. And the inventor of rockets propelled by liquid fuel, Robert Goddard, cited Wells’ novel as his essential inspiration. As for Mars, we now know that it is an icy desert planet without any apparent trace of life. Perhaps the reality would have been disappointing to Wells. But his novel coined the mythology of the “Martian” as the hostile alien invader, and figures like Stephen Hawking have warned that a possible contact with a superior extraterrestrial civilization would result in the inevitable destruction of our own. We cannot rule out the possibility that the prophecy of Wells might one day become reality.